So some of you may be wondering, what in the world does NOLA stand for. Don’t worry, it took me a while to figure out, too. For those of you that figured it out right away, just keep quiet – we don’t need to be reminded of how smart you are. : ) For those of you that are still needing help, NOLA stands for New Orleans, LA (Louisiana). 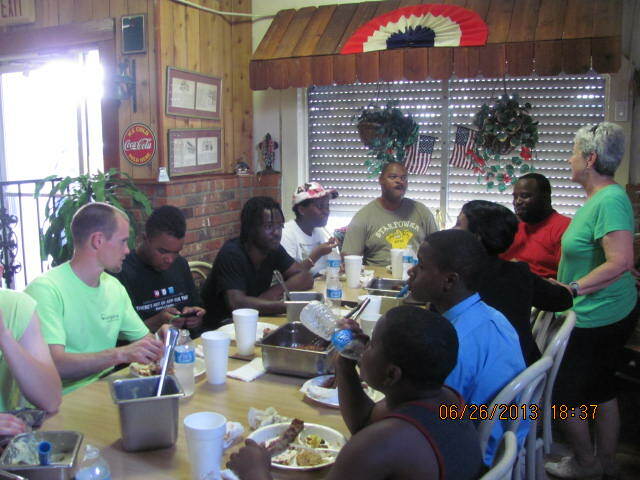 Today is Wednesday, June 26th and it is the 5th day of our mission trip. On behalf of the team, thank you to all the individuals and families that have supported us financially and are lifting us up in prayers. I think we all woke this morning feeling very tired and a bit sore from the physical work of the previous two days. 6:30am breakfast 3 days in a row takes it’s toll on those who typically prefer to never see the sun rise. 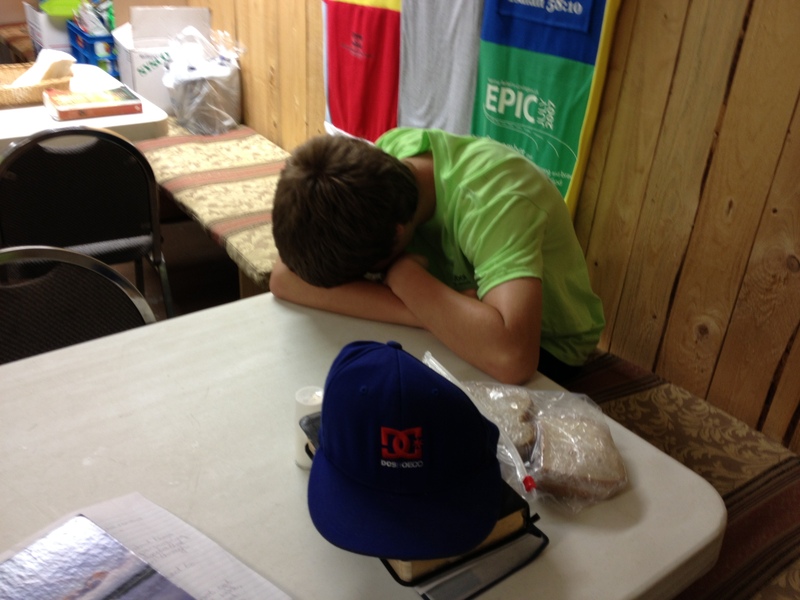 It seemed today that for some of the team members the excitement of the first couple days is wearing off. The lack of sleep combined with the heat and humidity and weariness of the work makes it more challenging to have a positive attitude. Expectations for what this trip would look like may not have been accurate and are leading to frustration and disappointment. For those of you in ministry, perhaps this sounds all to familiar. We press on and encourage one another to set aside our expectations and to pray for God to work in and through us. Please pray for our team in this regard as we head down the home stretch of this ministry opportunity. 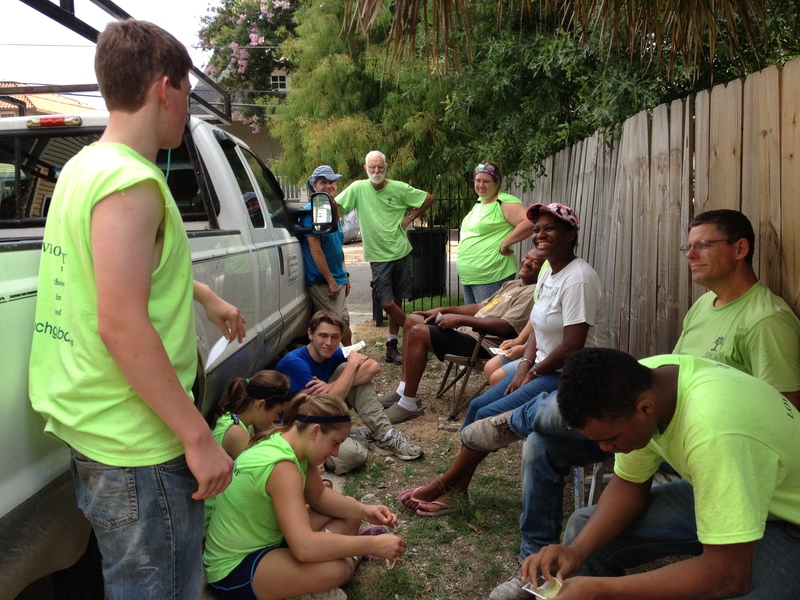 Wednesdays are the day of the week when the volunteers try to connect more with the homeowners we are serving. 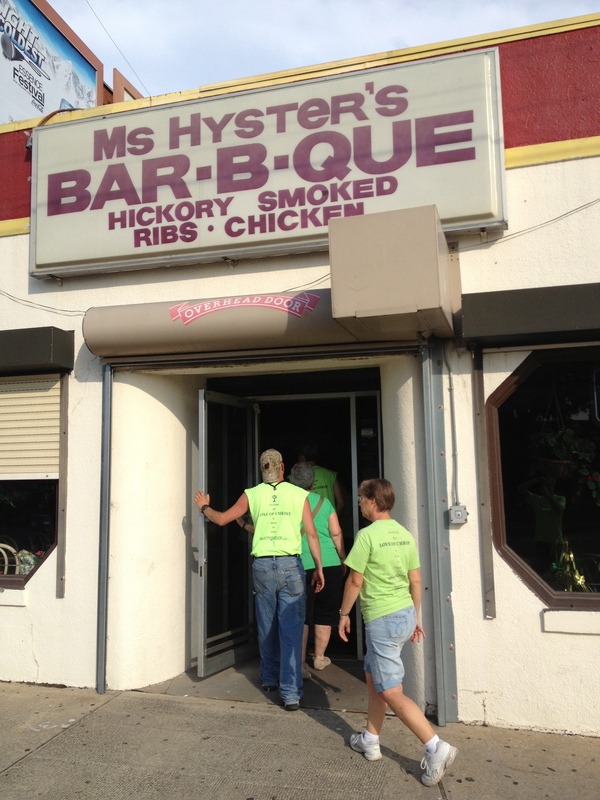 We had the opportunity to visit with the homeowners this afternoon and then we took them out to dinner along with some of the ReachGlobal staff at a local favorite: Ms. Hyster’s Bar-B-Que. When we connected earlier in the afternoon, I asked our homeowners (Bobby and Belinda) the same question I had previously asked some of the youth: “If you were sent into an area where there was no church and given the task of starting a church from scratch, what would you do and why?” In discussing this question with the youth, a theme was connecting with people and building relationships. So how did Bobby and Belinda respond to the question since that is basically what they are doing – being used by God to start a church from scratch? Three things: Prayer, Presence and People. Prayer establishes our dependency on God and helps us remember that “we” are not the ones building the Church, God is building His church and He will continue to build His kingdom here on earth. Bobby and Belinda seek to be sensitive to the leading and guiding of the Holy Spirit as they come to Him continually in prayer. Presence is another important component to planting churches. Bobby and Belinda talked about the importance of being physically present with people – loving on them, getting to know them, connecting with their children and demonstrating the love and compassion of Christ consistently to neighbors and their families. For Bobby and Belinda, part of this involves having a home in the community where they can host Bible studies and have a Rec Room for youth to come and hang out at. Bobby explained that they have learned that it is important to invite others into their lives and to be willing to enter into the lives of others as well when God opens doors. Churches would not exist without People and it is building those relationships with people that God uses to build His Church. Bobby and Belinda have a heart for people, especially people who do not yet know Jesus Christ as their Lord and Savior. 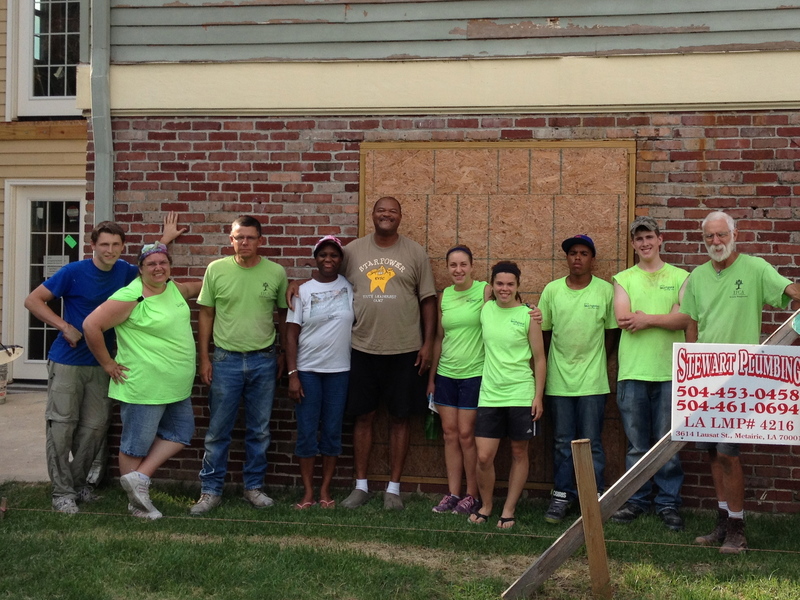 Pray that God would allow them to get into the home we have been working on in the neighborhood of Broadmoor in New Orleans.